Gaming and marbles may seem like two completely dissimilar things – and yet the combination of the two has frequently resulted in a lot of fun to be had. Marble Madness was an arcade smash 30 years ago, and since then it has inspired some high-quality affairs – including Super Monkey Ball, Marble Blast, and its Ultra variant that achieved cult status on the Xbox 360. Marble Madness itself gave you a small level selection, but a high amount of tensions and hazards to work with. Super Monkey Ball took that concept and shifted it a bit by focusing on tougher stage design and greatly-expanding the scope of things. How each style of game controlled was interesting in its own right. 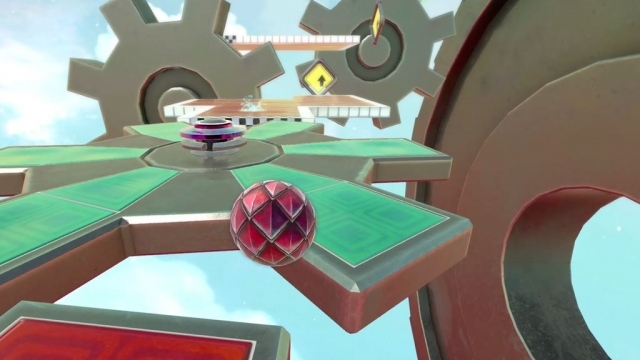 Marble Madness had you control the marble itself, while Monkey Ball shifted the environment around you, and Marble Blast Ultra brought things back to Madness and had you move the marble. It also introduced a lot of environmental-based puzzles akin to what was featured in Madness, but with more player input thanks to power-ups. Marble Blast Ultra was definitely a key inspiration to Marble It Up, but this new game features more of what made that game great, and a bit more content and overall polish. 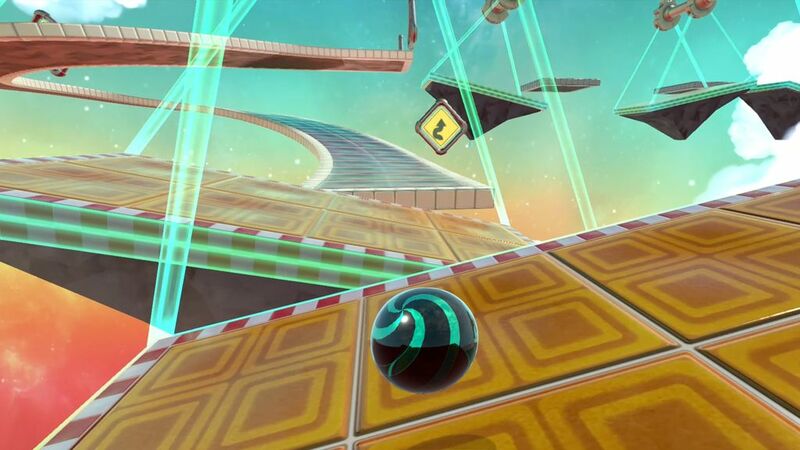 Fans of Marble Blast Ultra will be right at home with this game’s glossy finish to both the ball and the environments. The slowly-scaling difficulty curve featured here is a bit better than the somewhat harsh learning curve of MBU though – and with this game being a spiritual successor with many of the same devs at the helm, that’s good to see. That game was quite user-friendly early on, but ratcheted up the pain fairly quickly and didn’t always give players enough time to learn the new mechanics for power-ups. Sometimes, a sink or swim mentality works – but in the case of that game, it didn’t always work out in execution like it did in theory. 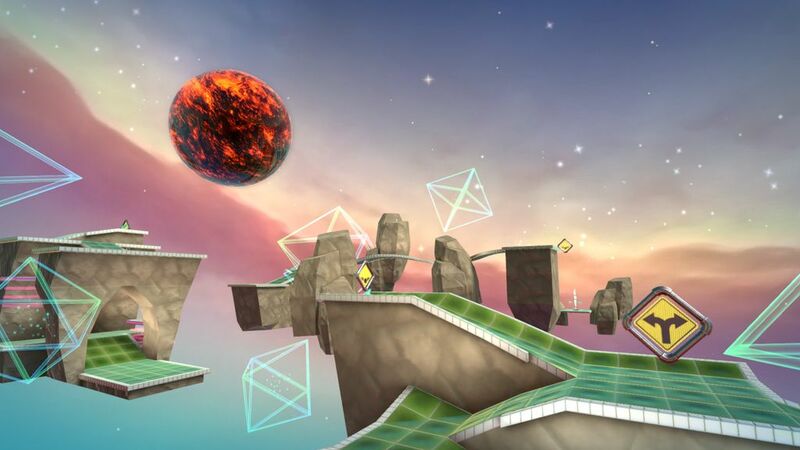 Marble It Up offers up dozens of stages – 40 in total, so in terms of quantity of content, it’s leaner than Marble Blast Ultra was on the 360. However, MIU features far more environments and power-up options. Rolling on ice offers up a huge challenge now, while rolling on a variety of hills and then tight turns alongside ice requires a lot of patience. Beyond just having a jump power-up, you can do a regular jump here, super jump with a power-up, float off of high ledges with an angel’s wing power-up, and slow down the in-game clock a bit to secure gold medal level times. Like any game with a scoring mechanic attached, merely beating the stage isn’t quite enough to prove your dominance – but it’s a fine start. Merely beating the stage allows you to get a medal and eventually unlock a new tier of levels. However, by acing the stage, you’ll make faster progress and doing that requires either fast learning skills or a bit of trial and error. The most harrowing gold medal victories always come from being a millisecond too slow to get the gold and thus having to shave off a tiny amount of time. What’s great about how the game is designed is that it’s never discouraging to give it one more go – and sometimes, you can get the gold by simply shifting the camera slightly sooner than you did before and get a better angle on a hill or a sharp turn. Speaking of which, using either the default Joycons or the pro controller allows you to have smooth control of both your marble and the camera – although it is a bit odd that gyro controls wouldn’t be included in the game. While this may not be something that works well in handheld mode, it would be a nice addition to the game in docked mode and something similar worked marvelously in the Vita and 3DS entries of the Monkey Ball franchise. Fortunately, the default controls do work well enough with the left stick controlling your movement and the right covers the camera. Your face buttons jump and use power-ups, although the cramped nature of the Joycon design means that it’s less than ideal for speedrunning stages. For casual play or to just try out a stage for fun, you will at least learn the ropes with them – but stepping up to a pro controller makes things easier as does the secondary mapping of button commands to the triggers. Those with controllers that have button mapping on the back may find this even more user-friendly since you can stay glued to the sticks at all times if you so desire. Visually, Marble It Up looks great for what it is. When compared to Marble Blast Ultra, which still looks great to this day since there are so few games like it, both games have a very similar look. MBU’s ground textures were fantastic and look solid, but MIU’s are even better – and a small touch like having HD rumble alongside your rolling makes each texture change you encounter feel just a bit different. The regular tiles and metal you roll on have realistic textures on them, while the ice texture gets across just how terrified you should be to go over those surfaces. Reflections off of your ball look realistic, and that holds true for every customized ball type you unlock as well. This isn’t a visual stunner for the system in a way that will wow most people, but it’s rock-solid visually either in handheld or docked mode and runs at a buttery-smooth framerate at all times. Marble It Up’s sound design is fairly strong. 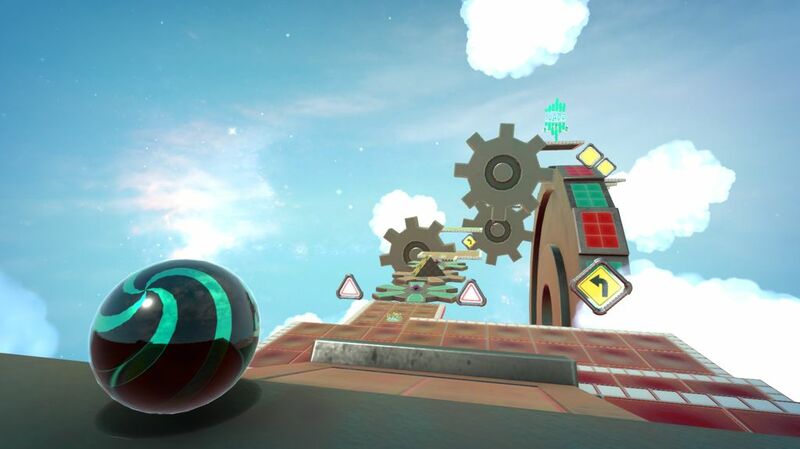 While its soundtrack isn’t as outright memorable as the one featured in Marble Madness, it is better than anything in Marble Blast Ultra – and uses sound to get across the weight of the marble wonderfully. There’s a sense of weight when you hear how the marble interacts with each environment – and the sound of the marble on ice does change compared to a normal flat surface or even a gravity wall. 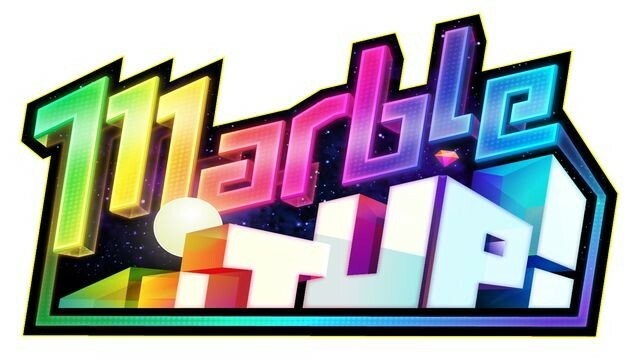 Marble It Up is a must-buy for anyone who loved Marble Blast Ultra on the Xbox 360 – or just loves rolling-based games in general. 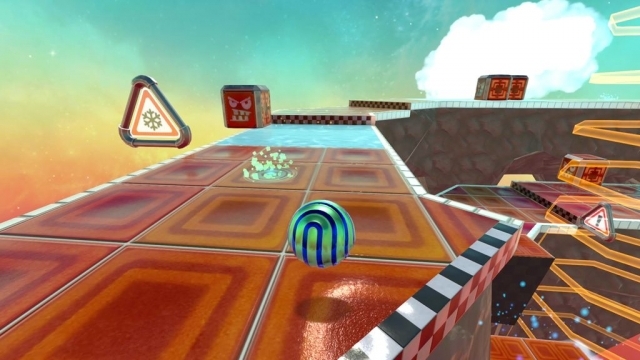 While Super Monkey Ball may be the industry’s de facto gold standard for the genre, Marble It Up uses its own formula to offer up a ton of fun. It’s a rare example of “more of the same” being outstanding – as it feels like a natural sequel to MBU a decade after the fact and should please anyone who enjoyed that game. Newcomers who have heard of that game’s legend may want to wait for a demo or a price drop – but at only $20, this is one of the rare games out there you can blind buy and get a lot of enjoyment out of without worrying about buyer’s remorse. It plays like a dream, looks good, and is a satisfying score-based game that makes you want to keep playing to do better – not force you into doing so. 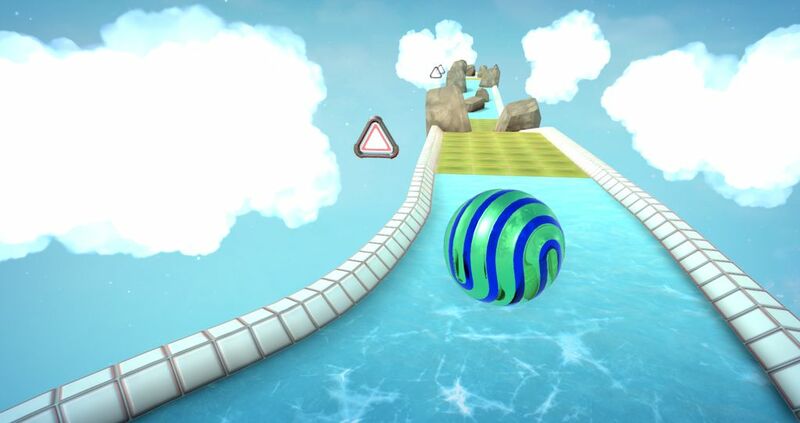 This review is based on a digital copy of Marble It Up! for the Nintendo Switch provided by Bad Habit Productions.